Saint Lucia is a diving paradise. The island is at the tip of an underwater volcano where both beginner and experienced divers alike will enjoy the stunning variety of coral, sponge and marine life. Artificial reefs have developed around a number of sunken ships which have become home to huge gorgonians, black coral trees, gigantic barrel sponges, purple vase sponges and black lace corals. Exciting Diving there will reveal turtles, nurse sharks, seahorses, angel fish, and golden spotted eels, to name but a few, among the dazzling cross section of Caribbean marine life. There are several spectacular diving sites just off Saint Lucia, ranging from easy to challenging. Keyhole Pinnacles consists of 4 seamounts rising from incredible depths to within a few feet of the surface. Superman’s Flight, a drift dive on a gentle wall which drops to 1,600 feet. At the base of Gros Piton the Coral Gardens rise from a depth of 15 to 50 feet and Anse La Raye, midway up the west coast is a superb wall and drift dive, where huge boulders cover a shallower slope creating fascinating formations to explore. On the point of Anse Chastenet, a plateau slopes gently from 40 – 60 feet. The reefs fall away to a depth of 140 feet in a unique coral chain, meandering out from the Bay. A number of shipwrecks provide adventure and exploration for divers. For the experienced only, off the southern part of the island, the Waiwinette freighter lies 90 feet below. The currents here make this dive extremely challenging, whereas further up the coast off Castries, there is a pleasant wreck dive in 20 feet of water for those less experienced. Diving schools and centres abound in Saint Lucia. Trips, tuition, guides and equipment for scuba or snorkelling are offered for all levels of diving experience and can be arranged through your travel agent or when you arrive. You can also visit the award-winning Soufriere Marine Management Area on the west coast. 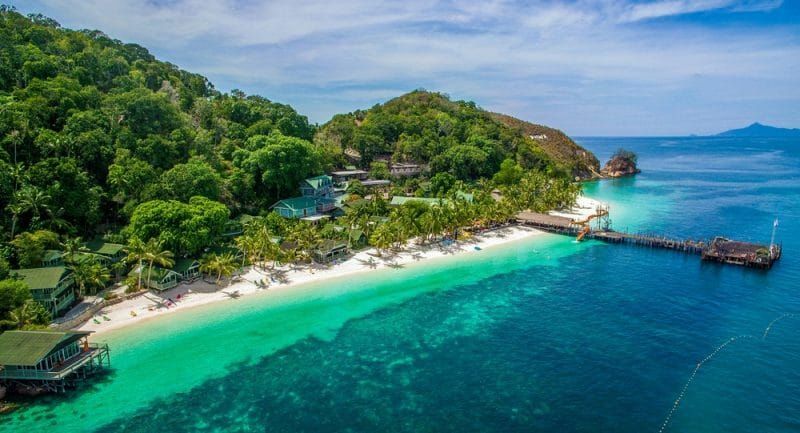 An important project created to conserve Saint Lucia’s coastal environment, its activities and vigilance ensures that underwater Saint Lucia retains its immense wealth and beauty. Divers from all over the world know the exotic beauty and warm crystal waters of Saint Lucia. A great deal of care has been exercised to ensure that the island, as well as the surrounding water remains as pristine as it was a generation ago when it first began attracting divers in search of a paradise less travelled. As mountainous below sea level as it is above, Saint Lucia offers incomparable sightseeing for divers who are drawn to the tremendous variety that nature has to offer: huge gorgonians, black coral trees, gigantic barrel sponges, purple vase sponges and lace coral. Angelfish, black beauties, golden spotted eels, seahorses, Stingrays, nurse sharks, turtles and many varieties of schooling fish are as plentiful as they are colorful and varied. A few submerged shipwrecks and a mysterious serpentine creature of mythical proportions known as “the thing” add to the excitement of diving in the waters of Saint Lucia. One of the most dramatic spots for diving is the stunning Anse Chastanet reef in the southwest of the island. The shallows, with depths to 25ft can be entered directly from the beach. The reefs falls away from 20-140 ft in a unique coral wall that continues from Anse Chastanet Bay around the headland of Grand Caille and in towards the harbour of Soufriere, providing some of the best diving in Saint Lucia. Known as one of the finest wall and drift dives in Saint Lucia, Anse La Raye can be found below a shallow wall. Interesting formations at the slope which consists of huge boulders, stimulate the eye and imagination. Located at the base of the Gros Piton, the Coral Gardens offer breathtaking scenery above and below the water, where five finger coral runs from a depth of 15-50ft. At the point of Anse Chastanet, a plateau named Fairy Land slopes gently from 40-60ft. Since strong currents here keep the corals and sponges clean and the viewing is excellent and, this site is ideal for underwater photography. Voted one of the “10 Best Dive Sites” by Caribbean Travel & Life, The Pinnacles are described by the magazine as “four coral and gorgonian-encrusted seamounts that rise tantalizingly up from the ocean depths”. The Lesleen M, a 165-foot freighter, was sunk by the Department of Fisheries in 1986 to provide an artificial reef. It lies upright in 60 ft of water near Anse Cochon on the west coast, just south of Marigot Bay. Divers can tour the ship in its entirety. Names for a scene on Saint Lucia for the movie Superman II, this site is a drift dive on a gentle wall that drops to 1600ft. Good visibility created by strong currents permits crystal clear viewing for underwater exploration. Divers can enter the water here at the base of Petit Piton. According to those who have seen it “The Thing” is said to be Saint Lucia’s own “Loch Ness Monster on Vacation”. Seen regularly (but only at night), one may catch a glimpse of this mysterious creature at Anse Chastanet.